ADVANCE SOLICIT Far from the border of colonized space, a newly discovered planet teems violently with strange psychic life and puzzling telekinetic ecology. Vep, a refugee raised away from her devastated home planet as an indentured citizen in a foreign colony, is taken by a private military firm to assist in settling the new planet. 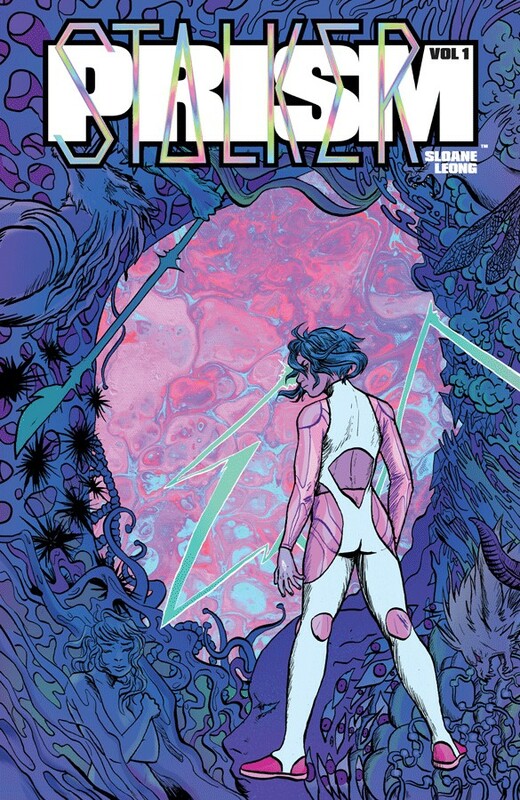 What awaits her will test the limits of her will as she grapples with the strange power the planet exerts over her... Collects PRISM STALKER #1-5 COMPARISON TITLES If you like Sailor Moon and Cronenberg-esque sci-fi, you’ll love PRISM STALKER!